I'm aiming to blog more frequently, and I suppose I have to start somewhere. So here I am. Right now, I have fifteen minutes to write this post. I'm squeezing blogging in between three hours of freelance work and a long list of household tasks I hope to get done before picking up the boys at the sitter. Fifteen minutes doesn't leave room for much thought or editing, but it's enough to get things started. It's enough to move myself forward and to begin. I may not finish in that time, but I'm making progress, and that's better than letting this site sit stagnant while I wish and hope for time to write more, blog more, do more. Going Back to Work After Staying Home with the Kids? 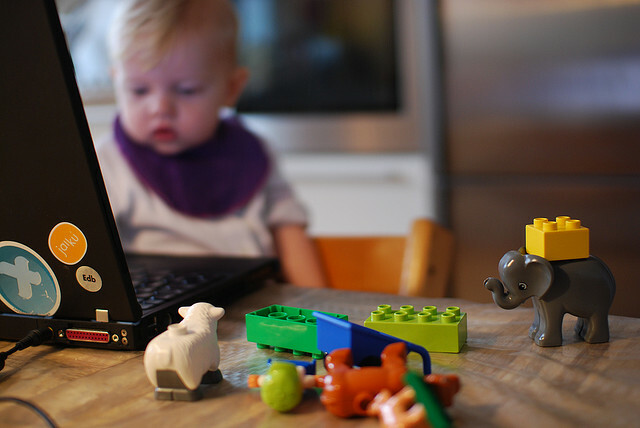 Avoid the "Motherhood Penalty"
In addition to blogging for other sites, I'm doing some technical writing and editing, along with a bit of virtual assistant-style work for a content management consultant. It's a good variety for right now and I enjoy each job for different reasons. Where can you free up a little time to do the things you REALLY want to do? What can you start NOW, right this minute? What can you make a little progress on, even if you know you won't finish? 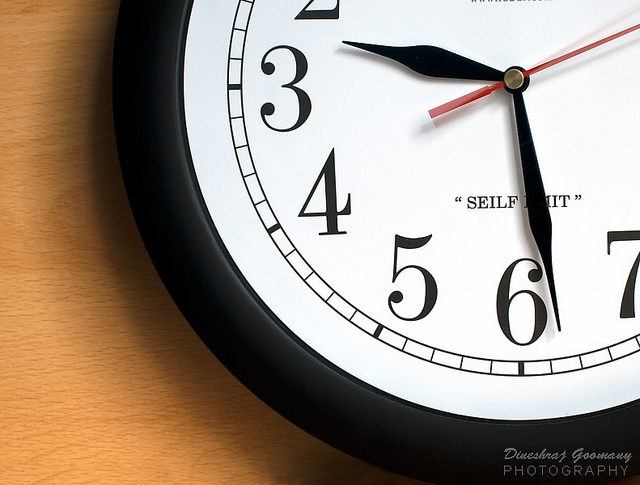 "Clock" by Dineshraj Goomany is licensed under CC BY 2.0. A short time ago, an internet friend sent me a link to an essay she'd tried to read. "This essay is SO DREADFUL," she said. "Can you believe she's a published author?" As I responded to my friend, I found myself thinking a thought I'd had plenty of times before. If this author could publish such a poorly written essay, why can't I get published? The answer wasn't far behind: Because you're not writing. That's not entirely true. I have a couple of freelance jobs going, but they're more editing and formatting than writing. I'm writing this blog post--right here, right now. And I'm always jotting notes for the books and stories and essays I want to write WHEN. You know: WHEN. WHEN the kids are older. WHEN I'm not so tired. WHEN the house is clean. WHEN I'm a better writer. I know you have them, too. They may not be the same as mine, but I'm sure you have your own WHENs. WHENs are those things that hold us back before we even get started. They give us room to wait, when what we really need to be doing is plowing forward, pushing the WHENs to the side and experiencing the NOWs. When I sit down to write, finally taking advantage of one of the many short-but-quiet moments life lends me each day, I realize there are NOWs waiting for me. NOW I have so many stories to tell. NOW I can write while the kids are napping. NOW I don't care if the house is clean. The words flow and the negative Inner Editor quiets down, if only for a few minutes. I put words to page and feel that rush of relief and the peace of knowing I'm doing what makes me alive, happy, full. I realize in those moments that the WHENs are just excuses to stay stuck in the daily grind, in the self-doubt and discontent. Once I start writing despite the WHENs, I find the NOWs were waiting for me all along. What are your WHENs? How can you move into the NOW? If you're too shy to comment, don't worry. 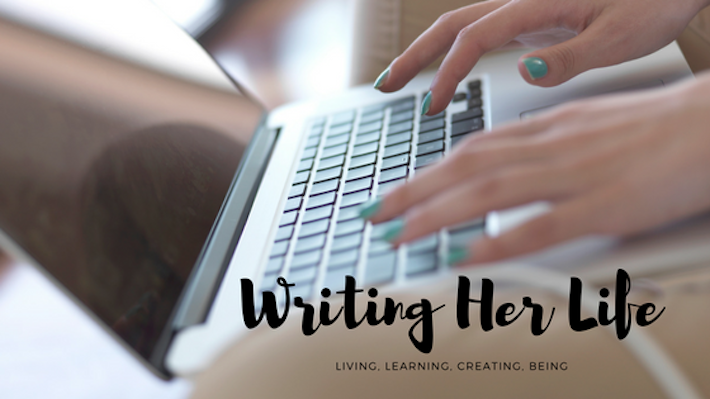 You can email me at writingherlife[at]gmail[dot]com. Drop me a line! Find my portfolio and information about my writing and editing services here. My writing blog, for writers who want to free the stories inside them and learn to "write out loud." I was a contributor to the blog for the Damsels in Success network. This website is no longer actively updated, but Damsels in Success provided information, support, and networking opportunities for professional women. 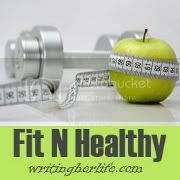 I'm the contributing writer and editor for this nutrition and fitness consulting website. Weight is my old site over at Spaces, with archives galore. Copyright © 2006-2010 smtwngrl. All rights reserved.